Brown’s Folly: Across the lane from the Blackberries Camping Park is the location of this famous (well with the locals anyway) folly. The area on which the folly is sited is ideal for walking. 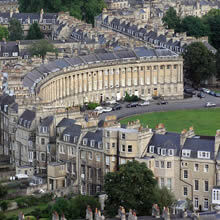 Views from the ‘Folly’ include the beautiful Limply Stoke Valley, and the City of Bath. 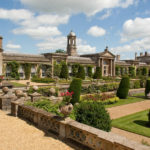 Bowood House & Gardens offers a fantastic day out in Wiltshire for all the family. Famous for one of the UK’s most extensive Adventure Playgrounds, children are guaranteed the time of their lives. 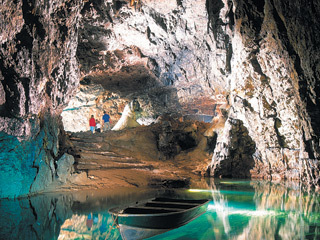 Wookey Hole: The World Famous caves and paper mill are a must attraction for all the family. 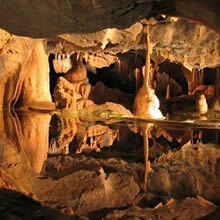 The most spectacular caves and the legendary home of the Witch of Wookey! Across the lane from the Blackberries Camping Park is the location of this famous (well with the locals anyway) folly. 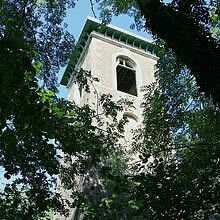 The area on which the folly is sited is ideal for walking. 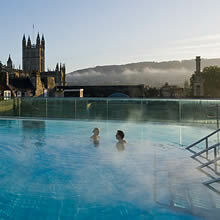 Views from the ‘Folly’ include the beautiful Limply Stoke Valley, and the City of Bath. 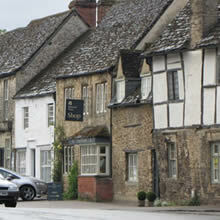 Bradford-on-Avon: The picturesque historic market town of Bradford-on-Avon is 3 miles away and offers the tourist a plethora of choices of things to do from visiting places of interest such as the Tithe Barn, Saxon Church and the famous ‘Chapel on the bridge’ to exploring the numerous little shops and cafes. Longleat: Widely regarded as one of the most beautiful stately homes open to the public, this magnificent Elizabethan property is home to the 7th Marquess of Bath. 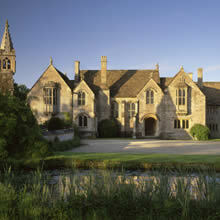 Set within ‘Capability’ Brown landscaped parkland, the house contains many fine treasures. 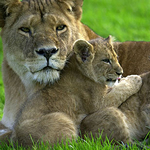 Longleat offers a great day out for all the family. From lions to tigers, monkeys to giraffe, discover many of the world’s most majestic and endangered creatures within the Safari Park. 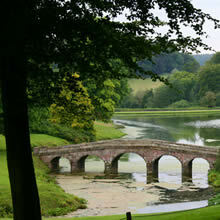 Get lost in the ‘Longleat Hedge Maze’, voyage on the Safari Boats, journey on the Longleat Railway, and much more. 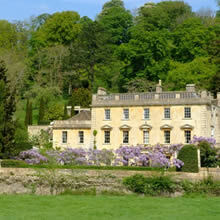 Iford Manor: The manor is found nestled beside a river in a picturesque valley setting and the beautiful Italian styled ‘Peto’ Gardens are a ‘must see’ for avid gardeners. Westbury White Horse and Hill Fort : situated just outside of the town of Westbury and around 6 miles away from the Blackberries Camping Park. 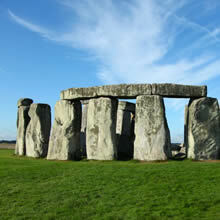 is a perfect place to visit and take a picnic and let the children ‘run wild’. 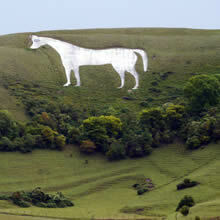 The famous white horse, one of a number in the area, was carved in the chalk downs. The location offers panoramic views of the area and is an excellent location for both walking and cycling. Take your favorite kite to fly as there is usually a degree of wind and don’t be surprised to find hang gliders taking off from the side of the hill. Walking The ‘Blackberries’ Camping Park is situated on the edge of the Cotswold’s and in beautiful countryside with numerous paths, bridleways and lanes along which to walk. 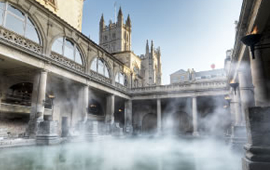 The nearby town of Bradford-on-Avon has a countryside Park which is bordered by both a river and a canal and offers the opportunity to take a river or canal side stroll with the added benefit of canal side taverns from which to take that well earned drink. 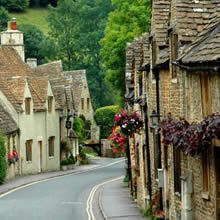 We are blessed with some of the best places to eat, some on our doorstep, others just a short trip.